The front door is officially painted and I love it so much! 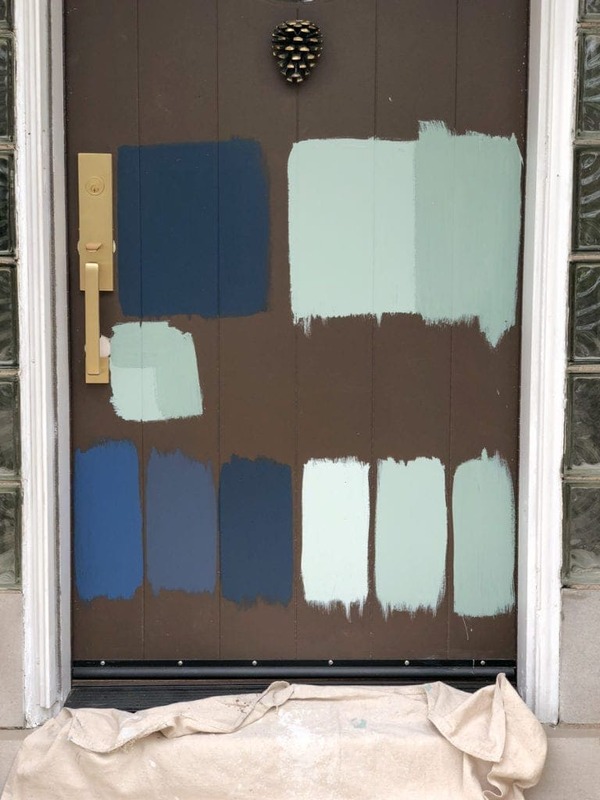 Thousands of you weighed in on what color I should paint my front door and over 90% of you chose either navy or robin’s egg blue (my personal faves too). 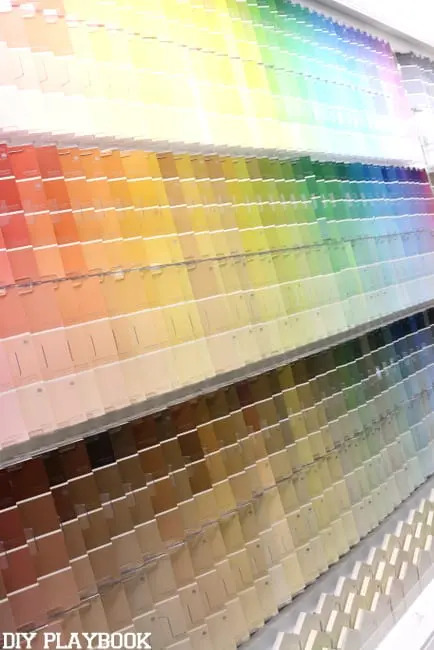 I immediately went out and bought a bunch of paint samples in those two colors and then asked you guys once again to help me narrow it down on instaStories. The winning color ended up being Robin’s Egg Blue (82% of you opted for the lighter blue over the navy) and so that’s what I went with. I shared the whole painting process on Instastories and was surprised at how many of you requested a post about painting a front door. 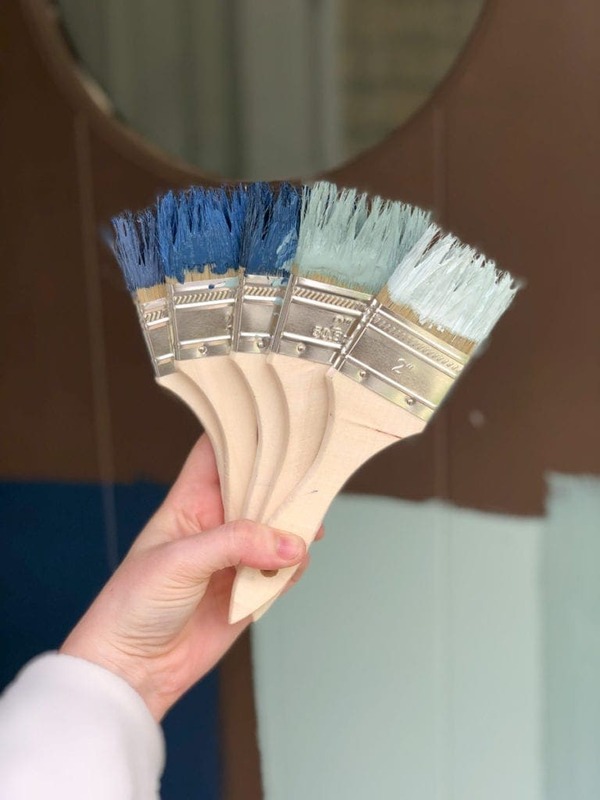 So today I’m here to fulfill that promise and provide anyone else looking to tackle this project with my 5 best tips for painting a front door! 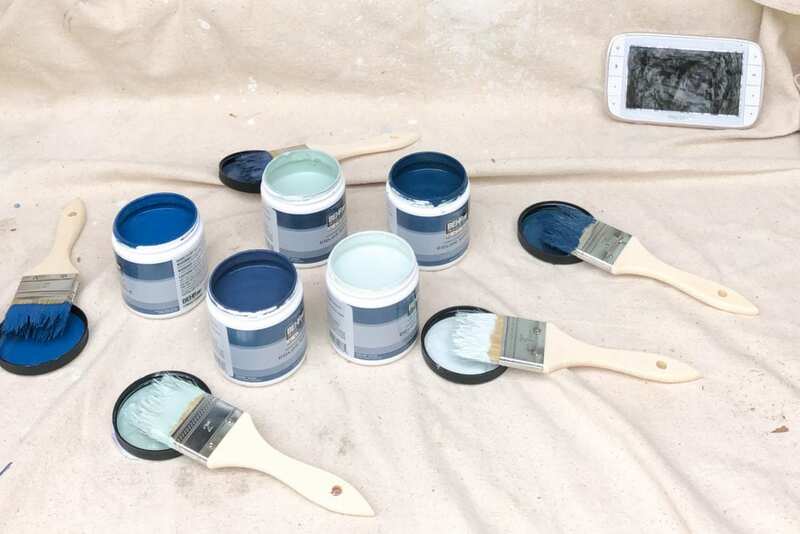 We always advise people to buy paint samples when it comes time to painting their walls because paint doesn’t always appear the same in your space as it does on a paint swatch. 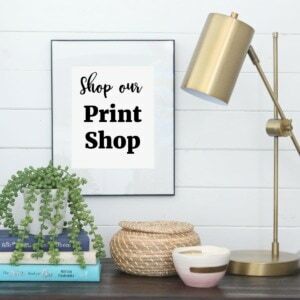 There are so many factors that play into how that specific color will “read’ in on your wall and putting paint samples up is really the only way to figure it out. 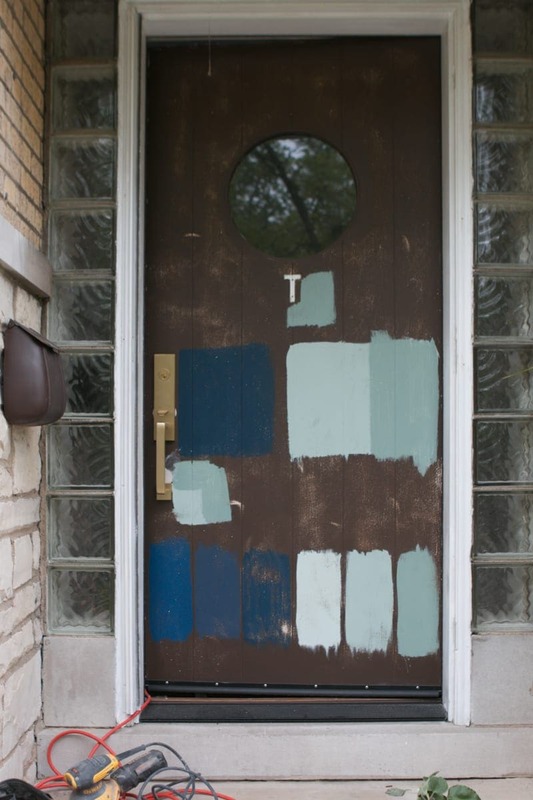 Painting a front door is really no different. 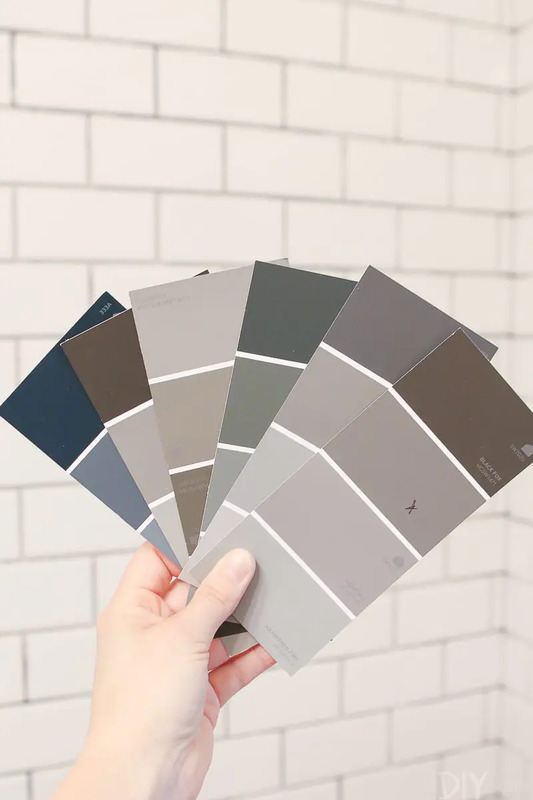 It’s just as important to use paint samples on your front door so that you can see how those colors look next to your brick, siding, landscaping, etc. 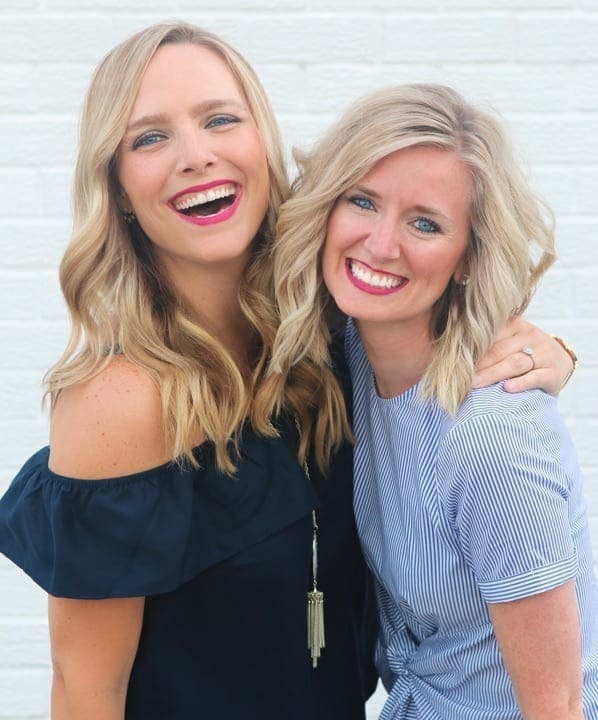 When our readers overwhelmingly chose navy and robin’s egg blue as the color finalists, I immediately turned to Pinterest for paint color inspiration. But I didn’t just stop there since those colors may look amazing on those other doors, but may read totally different on mine. To keep track of each color, I numbered the sample cans 1-6 and then painted them on the door in order from left to right. I really loved elements of each color and really wanted the navy to be the winner. 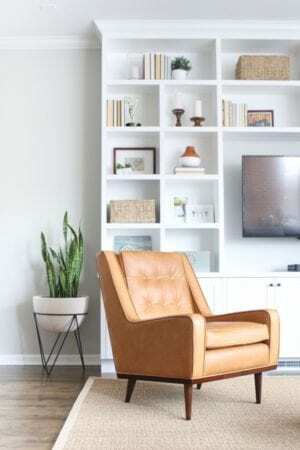 But you guys agreed that the navy was too dark for our dark entryway (it looked similar to the brown!) so the light blue options were the winners. I would have never known this if it wasn’t for the samples! 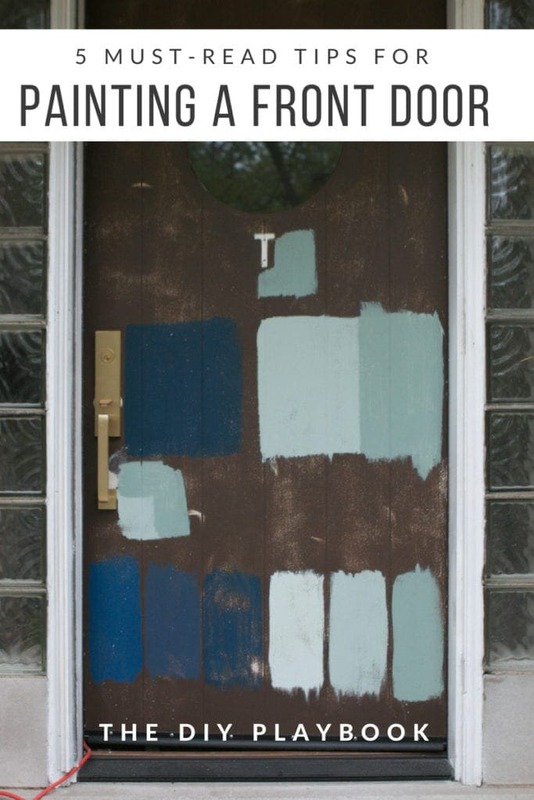 Once you identify what color you’re painting your front door, it’s time to prep it to paint! 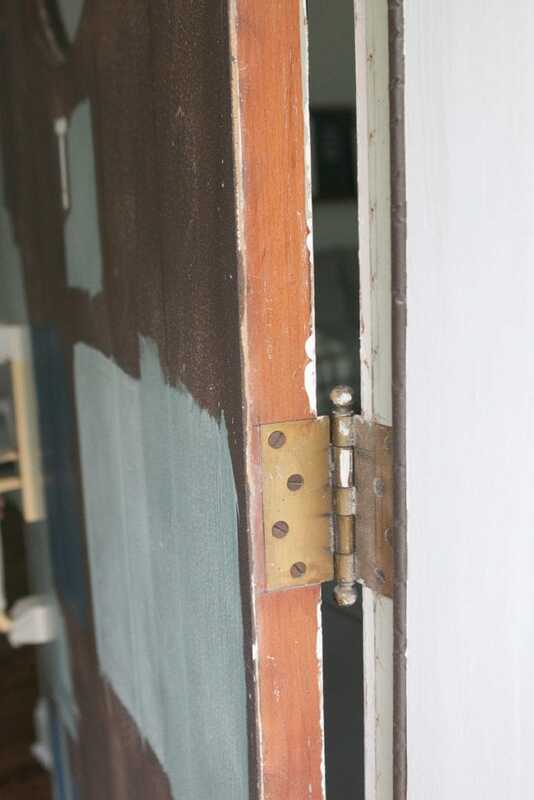 You definitely don’t need to sand the door down to the bare wood, just enough to “rough it up” enough for the paint to adhere. I used this power sander and a little muscle to get the job done. Then I followed it up with two coats of Benjamin Moore’s Stratton Blue in a Satin finish. 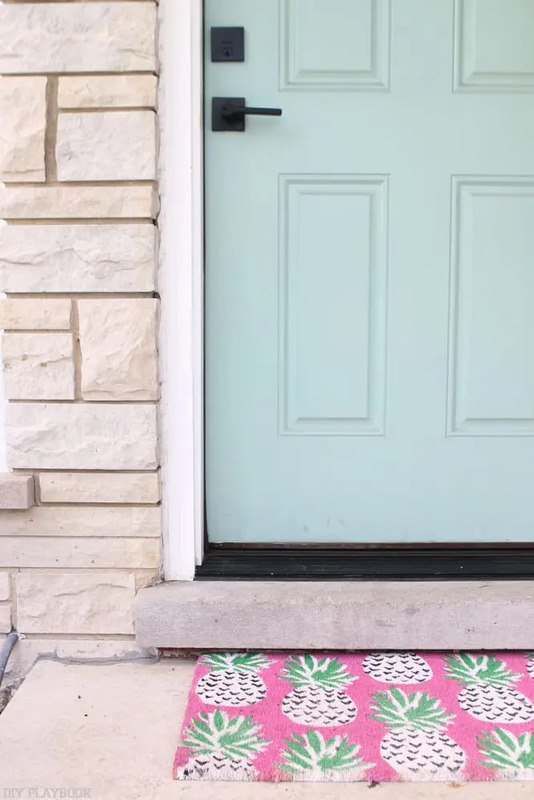 I learned this trick from my dad who is a professional painter and I’m so glad I did because this tiny trick is a game changer when painting your front door. 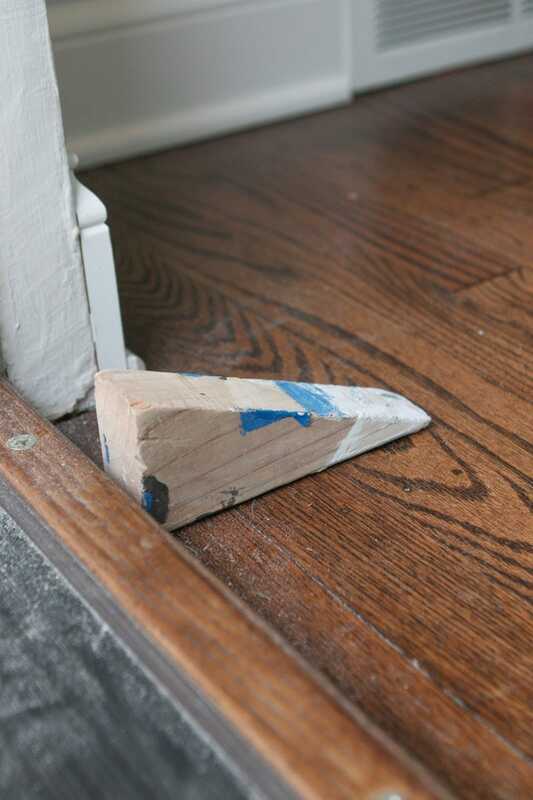 A door wedge! When you’re painting the front of the door it’s important that the door stays steady. You’ll want to put the door wedge behind the door so that it will stay in the position that you put it in. 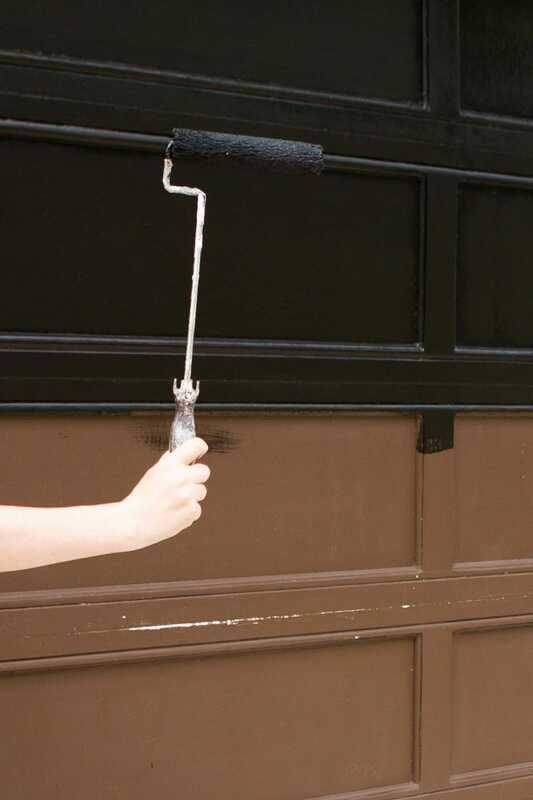 When you’re all done painting, you don’t want the door to accidentally shut and smudge your new coat of paint. A door wedge in front of the door will help avoid that mess. 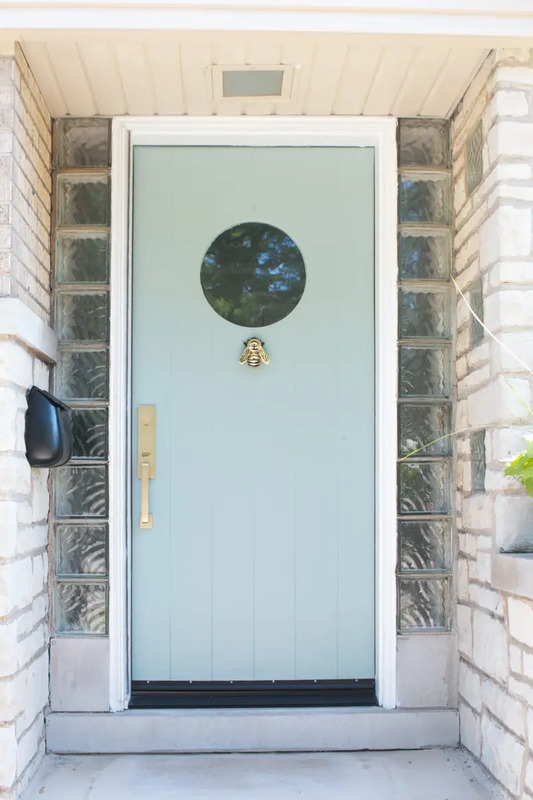 You guys know that the interior of my front door is black and so when I started painting the exterior blue, people messaged us wondering how I knew which side of the door I should paint which color. Great question! I wasn’t exactly sure until I consulted the pro… thanks dad! 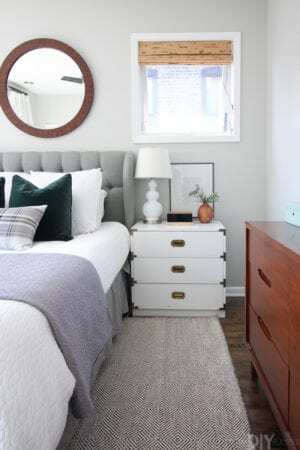 He said that the rule of thumb is to paint the side that is opening into the room the color of the interior. 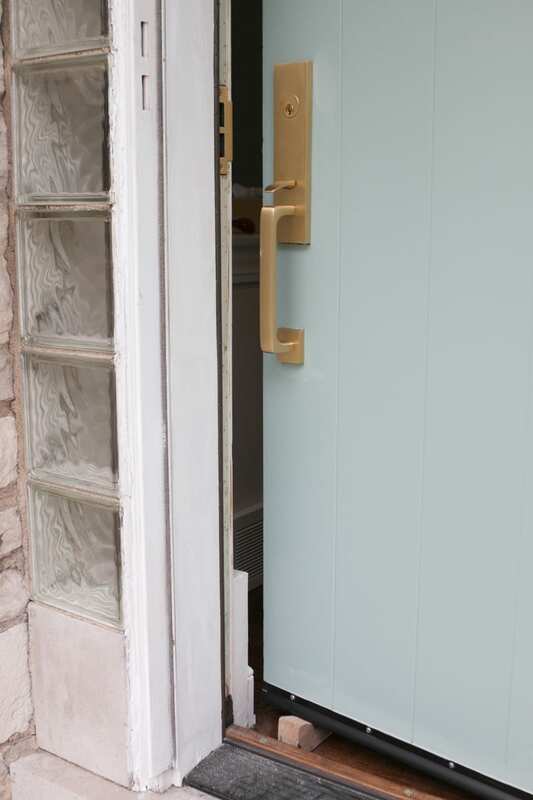 Then the side that is opening to the outside of the room will be the exterior color. Makes sense, right? 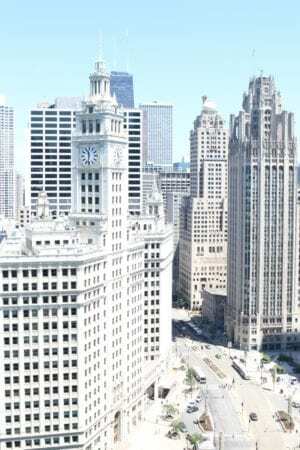 In our case, the side that was opening toward the outside was never painted at all. 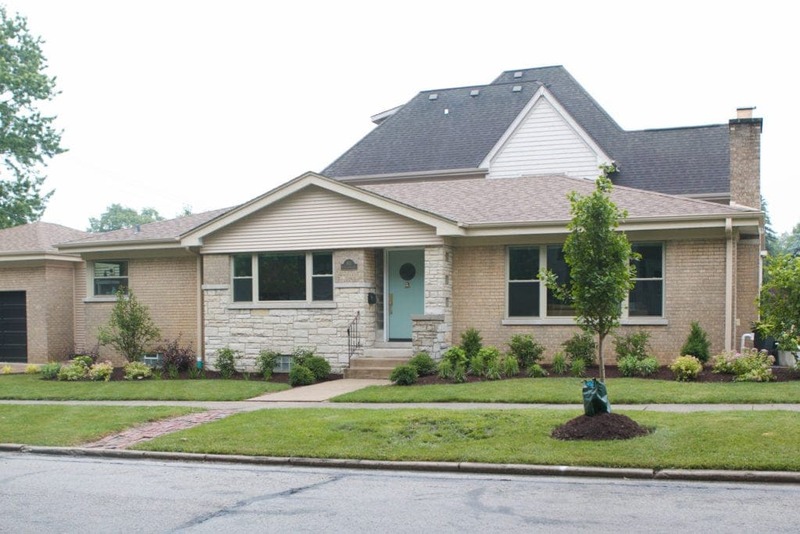 We gave that two coats of the exterior color, Stratton Blue. 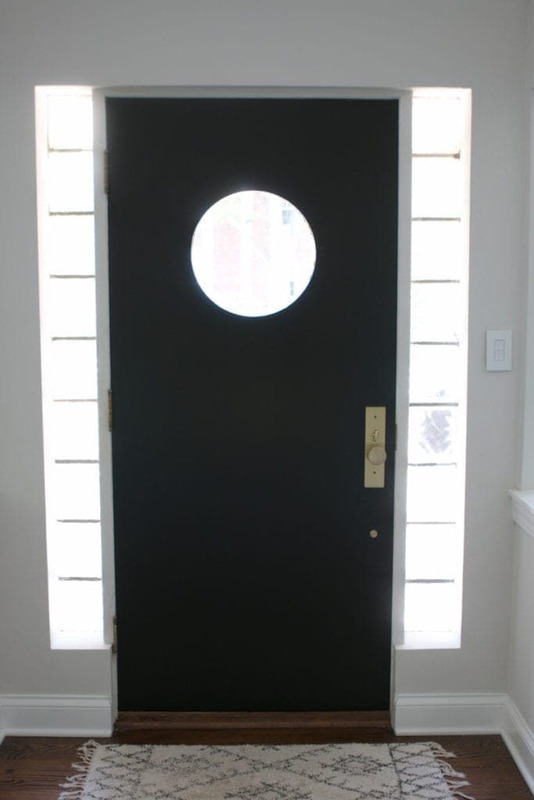 The interior color of the door is Sherwin Williams Tricorn Black. So on the edge of the door that was opening into the house, we gave that two coats of the Tricorn Black. 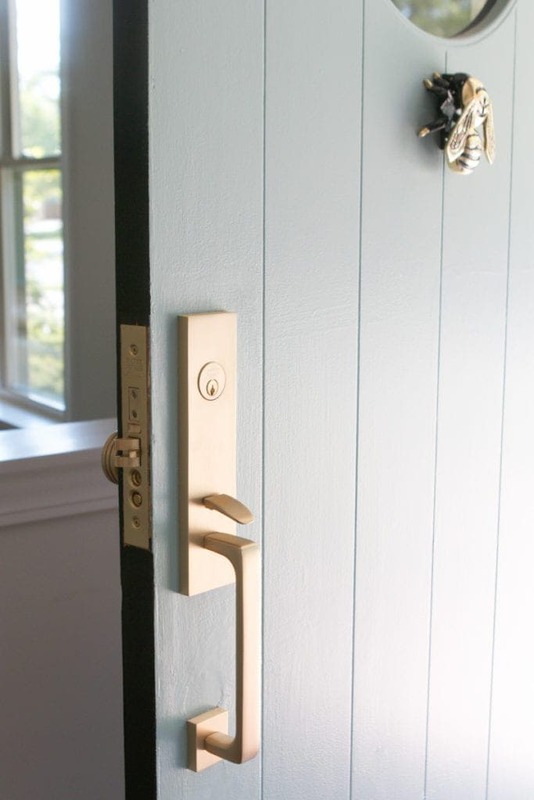 And my last tip for painting a front door is to think outside the box when it comes to door accessories! I substituted our old pinecone door knocker because it just didn’t feel like our style. 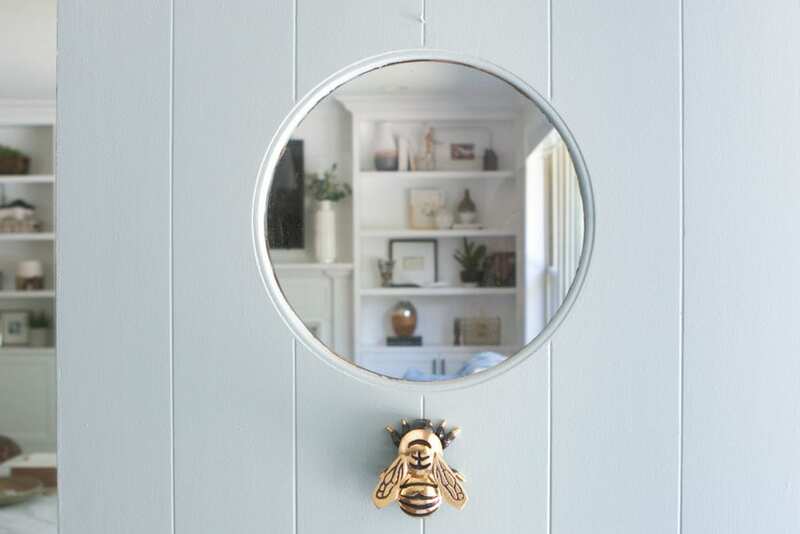 When I saw this bee door knocker instead, I knew it was perfect! 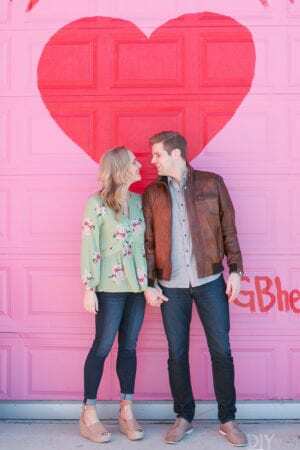 Matt refers to our house as “the beehive” because his favorite “B’s” live there (Bridget and Ben). So a bee door knocker seemed like a fun way to inject our own personality. 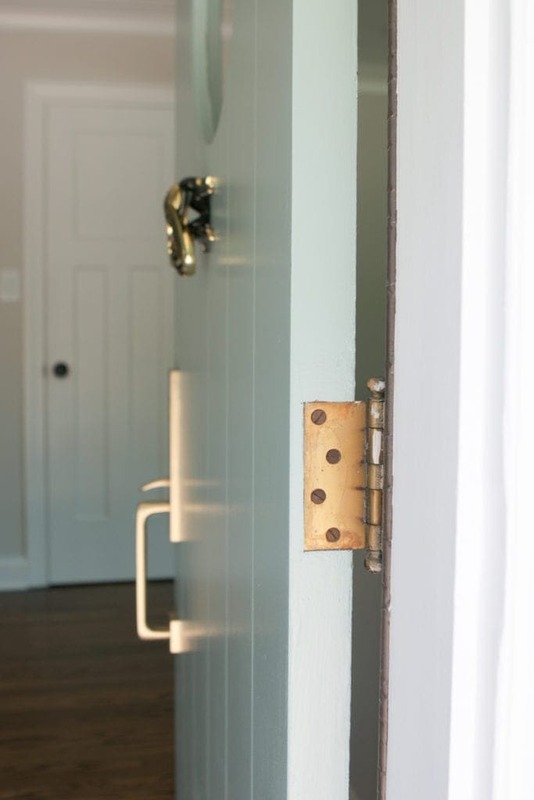 Your home may not warrant a bee door-knocker, but be sure to choose hardware, a door knocker, or even address numbers (you can DIY your own using this tutorial) that fit your style. 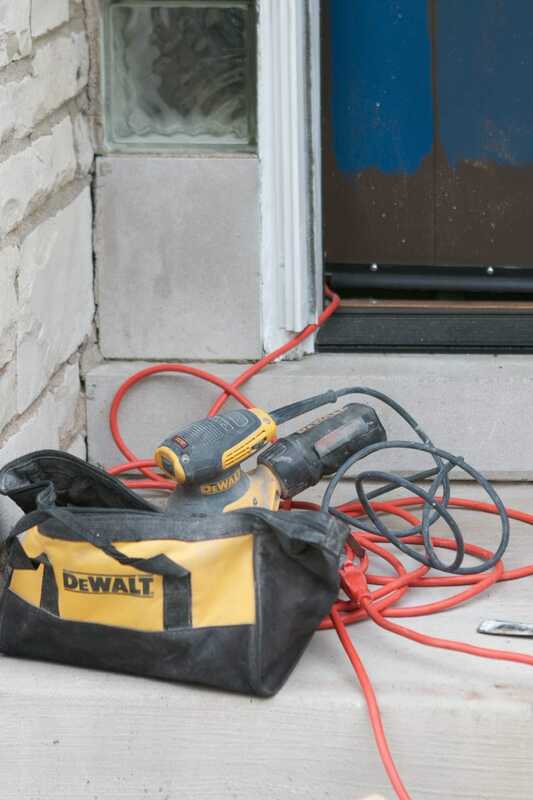 So often these details are overlooked, yet are the things that instantly improve your curb appeal. The front door has definitely come a long way since we bought this house last September. I always loved the porthole window, but now the entire thing feels a lot more “us”. 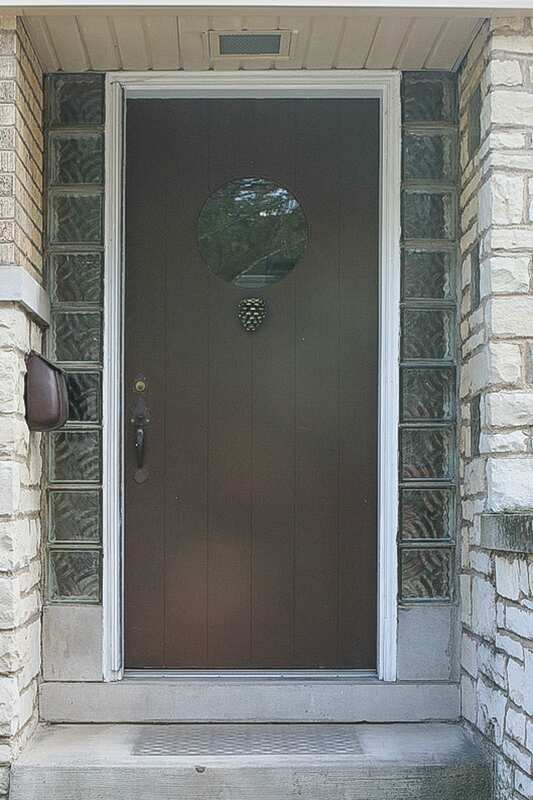 Plus, I love that we were able to salvage the original door, yet still add our own personality to it. 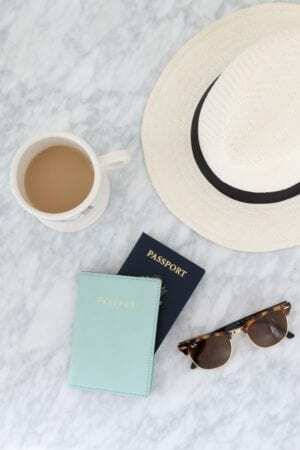 A total win-win and the perfect project to motivate me to get going on lots more outdoor projects! Thank you guys so much for weighing and helping me make this decision. I had so much fun bringing you guys along and can’t wait to continue to keep you updated on how things are shaping up outside.